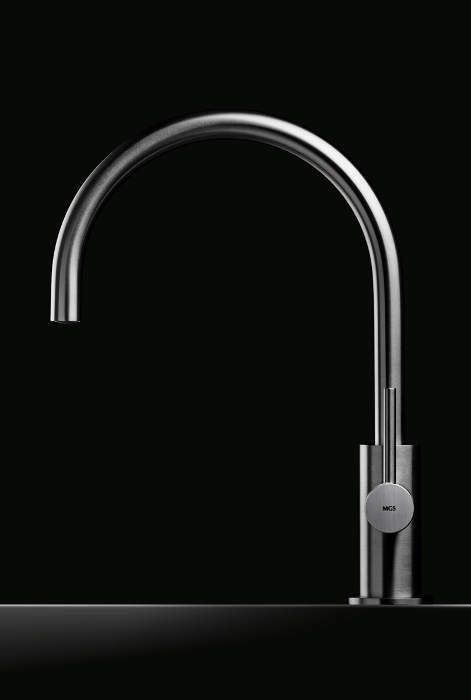 Singlle hole faucet with rotating spout, available in matte or polished stainless steel. Easy to clean coin slot aerator. 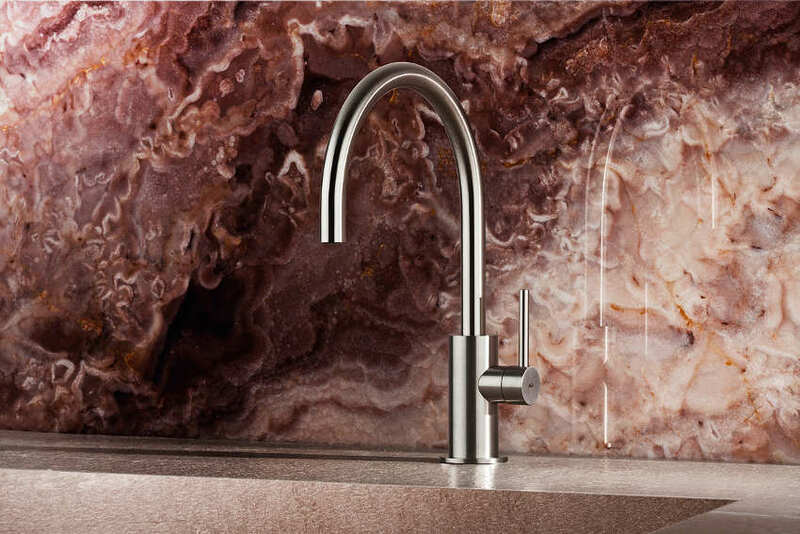 Compact dimensions and sleek design make it ideal for small kitchen sinks or bar sinks. 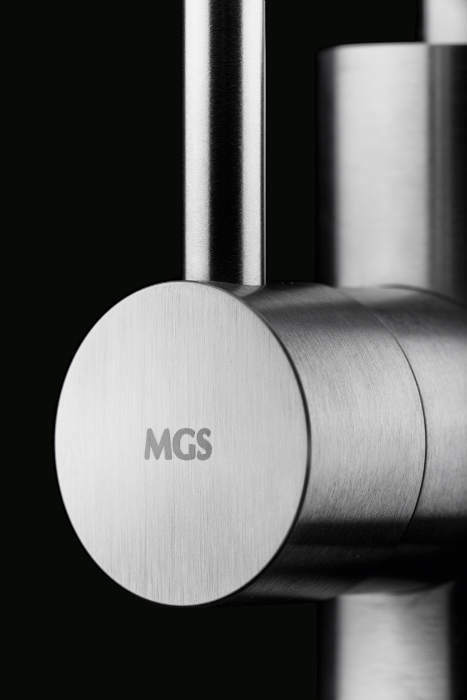 Marine grade solid stainless steel AISI316, ideal for indoor and outdoor installation. 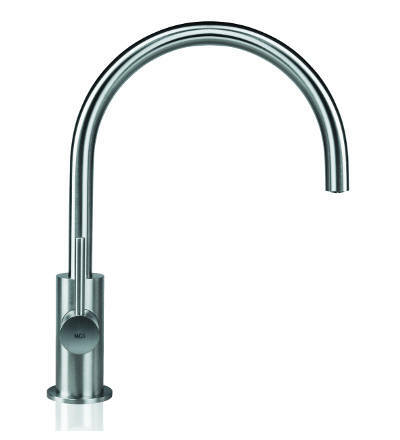 Can be installed with handle on the right or in the front. 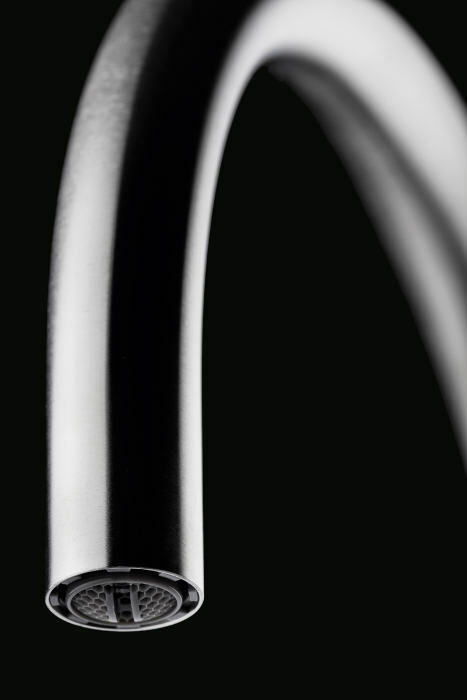 The handle can be ordered with the optional knurling decoration.